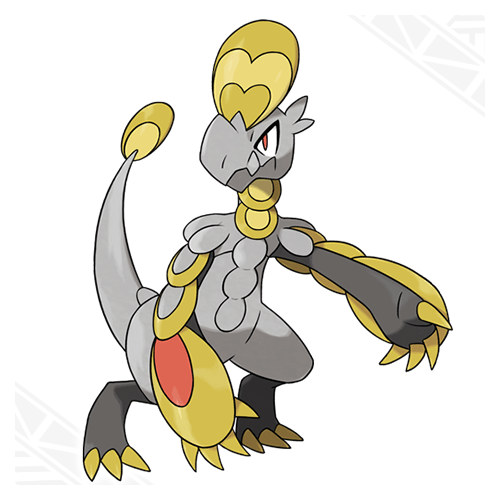 Hakamo-o and Kommo-o have been revealed as Jangmo-o‘s evolutions in Pokémon Sun and Pokémon Moon. When a Jangmo-o evolves into Hakamo-o, it breaks from its fellows and begins to live on its own to train itself. Wherever it can find Pokémon to battle against, it seems to appear. Hakamo-o dances before battle to show its strength, clanging its scales together to make them ring out. When this dance reaches its climax, Hakamo-o bellows a fierce war cry to challenge its opponent. Its scales make for fine armor, so Hakamo-o doesn’t worry about self-defense as it makes multitudes of strikes and overwhelms its opponents. But, as a result, its scales often become damaged and get torn off. They grow back immediately, so this does not cause Hakamo-o undue concern. In fact, it views the number of lost scales as proof of how ferociously it has fought, and it brandishes its bared arms in a boast of victory. At the end of its harsh training, Hakamo-o evolves into this overwhelmingly powerful form. It returns to the land of its birth, where it watches over the Jangmo-o from a distance. 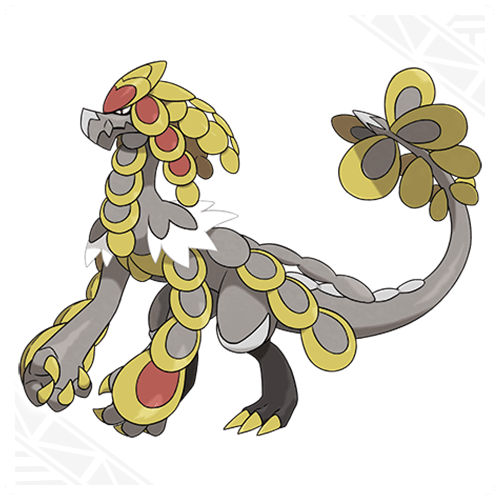 There is a legend that says Kommo-o is covered in glittering scales in order to drive away a great darkness covering the world. The reason these Pokémon seek out battle is to gain the power needed to defeat this darkness. When it detects someone approaching, this Pokémon rings the scales on its tail to announce its presence. It has no desire to battle against weak Pokémon. Kommo-o’s greatest move is the uppercut. It swings its arm up from below in a punch of great skill and force, sending its foe flying into the sky. By raising its arms aloft, it can generate a force powerful enough to change the face of the surrounding landscape! Clanging Scales is a move that only Kommo-o can learn. It scrapes the scales covering its body against one another, attacking with a great clamor. After using this move, Kommo-o’s Defense is lowered.